Experience a cozy 1950's styled American lounge in an intimate setting that offers a full menu composed of sharable plates, craft cocktails, fresh home brew and a sophisticated wine list. Presented with love with an attention to detail from the thirsty underground of discerning taste and warm desire. Sorry kiddos you must be 21 to enter. I have recommended Sideworks to all my guests from my vacation rental company. Patrick is a real bonus. A lively, delicious addition to Telluride's food scene. Currently, my favorite dinner spot. Fabulous the best food in Telluride!! Lovely meal, great service, great good! Will certainly be back! This place is amazing, obviously foodies run it, and they take their restaurant very seriously, though it’s “side work.” It is an amazing place. I took a friend from Telluride there (I’m an out of towner) and she was totally impressed, never having been there. It sure made me look like a champ restaurant-picker! But all the reviews were so good, it was a no-brainer. Fantastic dining in Telluride, CO. Waitstaff was exceptional, food was great! Best restaurant in Telluride! Everything was fantastic. This restaurant has good food, but be prepared to wait a while. The servers are not in any hurry and sort of have a don't-give-a-damn attitude. Pretty long waits between courses, and very little attention from staff. The owner is full of energy(maybe a bit too much) and comes and visits with every table. Nice guy with impressive chef credentials. Really enjoyed our meal! Staff was amazing. The owner was very entertaining! Patrick always goes above and beyond to make sure his guests are enjoying their evening. Boards are my fave! One of our very favorite places to eat in Telluride! The food is amazing, and the menu changes so there are always new options to try. Patrick and Josh are the best and always make us feel right at home. Can't wait for the next time we get to go to Sidework! Lovely experience with the most amazing chef! Waited over an hour and fifteen minutes between appetizers and the main courses. There was only one other party in the restaurant at that point. Talked to a few other friends who visited Sidework last week and multiple had similar issues with the service and schedule. Some of the wait staff are really cool -- others are just unnecessarily pretentious and pompous. Regardless of the food being late, it was not particularly good either -- even being starving at that point, it was over sauced and not well balanced flavors. Definitely not impressed and will not be heading back any time soon. We wish the food had lived up to the reputation of the restaurant. We wanted to like it, but with the exception of one outstanding entree, it was just ok. They have a vision, and really sell it, but we thought it was a pretty expensive and disappointing meal. Love this place, the people are fantastic, the original art on the walls makes for beautiful ambiance, and the food is always great--fresh ideas, pretty much locally sourced I think, and so many homemade and handcrafted goodies. Also, total trust them on their wines, which are also delicious! Best restaurant in Telluride. Innovative, delicious and a great atmosphere. Food and service were outstanding. Love it! I was so confused. These folks sit down next to you at your table and tell you all about all kinds of things on the menu. . . in excruciating detail. I don’t care for servers being overly descriptive which was the case here. Then, the food showed up. Holy smokes do these people know what they are doing. The fried green tomatoes were very good. Was NOT expecting a cold boiled shrimp (which was a wonderful shrimp) on top of the fried green tomato. 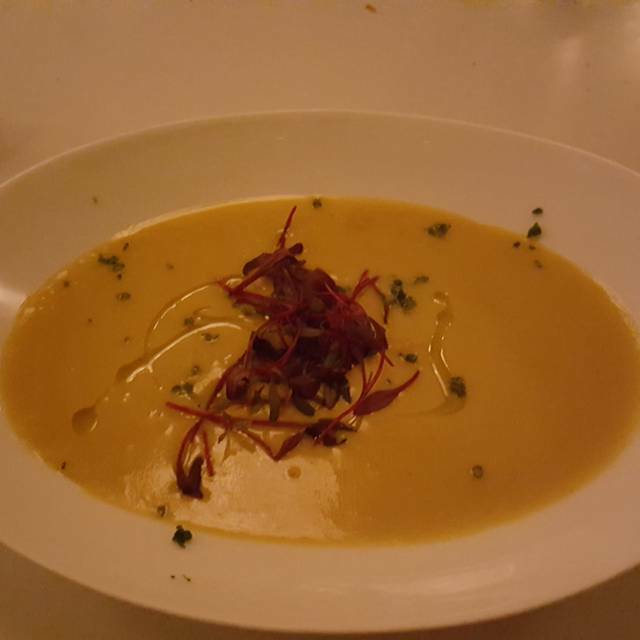 But, it was incredibly good with an unusual blend of textures, flavors, and temperatures. Then came the duck and the short rib. The duck was fantastic. The beans that came with the duck were incredible. And, the short rib IS THE SINGLE BEST THING I HAVE HAD IN ANY RESTAURANT IN 2 OR 3 YEARS!!!? The service was wonderful! We were given fantastic recommendations for wine, boards, and dinner! I would highly recommended visiting this restaurant! Outstanding, interesting,fresh food; beautifully presented with all staff knowledgeable,friendly and clearly food/wine buffs. Wine matching exceptional. A wonderful memorable evening (including the poetry recitals and the 15yr Barbados rum) . Patrick and the crew at Sidework rock! Always a great meal and even better company! Very attentive service and creative delicious dishes. This was my favorite meal in Telluride. The chef who walked around to describe the menu is a little overbearing. Fun wait staff, great food with an expanded menu since I was there last. We had a whole lot of fun and really great food at this restaurant. They have an interesting way of operating. Only open 6 months a year. Three chefs take turns running the kitchen. We did several shared plates and then each had our own entree. The wine list has some interesting bottles. Staff and service was great, food was fantastic! Patrick the owner was able to talk us through a great menu. Adam is the best bartender and everything was really delicious. Patrick and his team are wonderful. The entire experience, from cocktails, apps, to the entries and dessert was outstanding. Patrick was amazing! He has a warm and inviting personality and also shared his poetry with us. We loved the ambiance of the restaurant. The cocktails were special and the food was a fabulous culinary experience. Cant say enough about this restaurant. Excellent food and great service. Patrick is so funny and I'd come just to have him sit, chat and explain the menu! 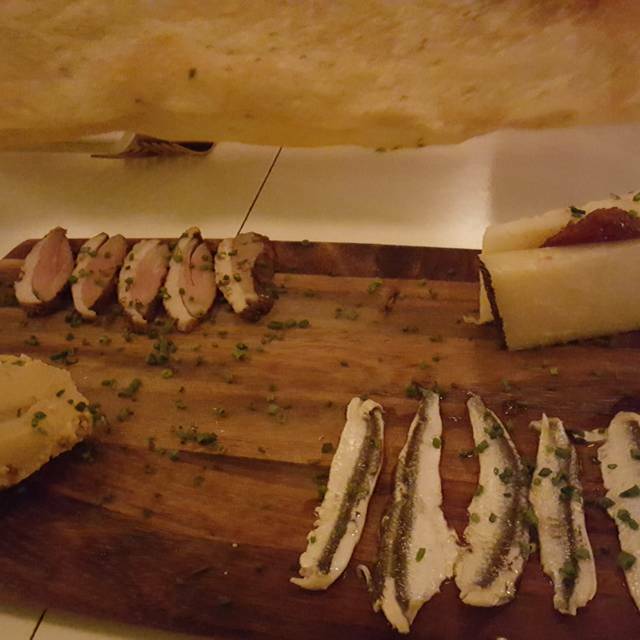 We had the duck sausage, eggplant spread and truffle cheese on the board which were all delicious. The fried green tomatoes are a fantastic. My husband had the shepard's pie and loved it. The wait for food is unconscionable. We waited an hour for appetizers and another hour for mains. If hungry, no help from bread since there is none. We have spoken with others who had the same experience. See reviews on Trip Advisor with same experience. Patrick the owner was not apologetic. Thanks for the feedback. We are always striving to do better and can only do so with good information. On your next visit to Telluride please give us the opportunity to show you a more positive experience. I am confident that the over 200 five star reviews can't just all be luck. I do apologize that your experience was lacking. We did learn of a technical problem in researching your experience and have remedied the issue. Like I said, we can only learn from our mistakes and improve over time. This was one of our top dining experiences. The ambiance is quaint and sophisticated. We were greeted so warmly and we had specialty servers. Our mixologist served amazing cocktails with detailed history. Josh and Patrick helped us decide over the menu and our food was beyond delicious... it was an experience. Thank you to everyone who made our evening special! NYE thought we’d try something new! Great find, very nice ambience, great fried green tomatoes and very solid duck cassoulet. Nice wine selection. Excellent service from host staff- but then, while very knowledgeable and gregarious, the wait staff kept our 2 course shared dinner with bottle of wine dragging on for about 3+ hours.... know busy on NYE....offered nice port to cap off meal to compensate. Definitely worth a visit when we are more hungry and it’s not so busy to see what else they can do! Went here with friends I was on vacation with. Food was amazing! Service was just as amazing, everyone was so welcoming and nice. Great experience overall. Amazing experience. Chef Patrick came out and told us about the restaurant and the menu. 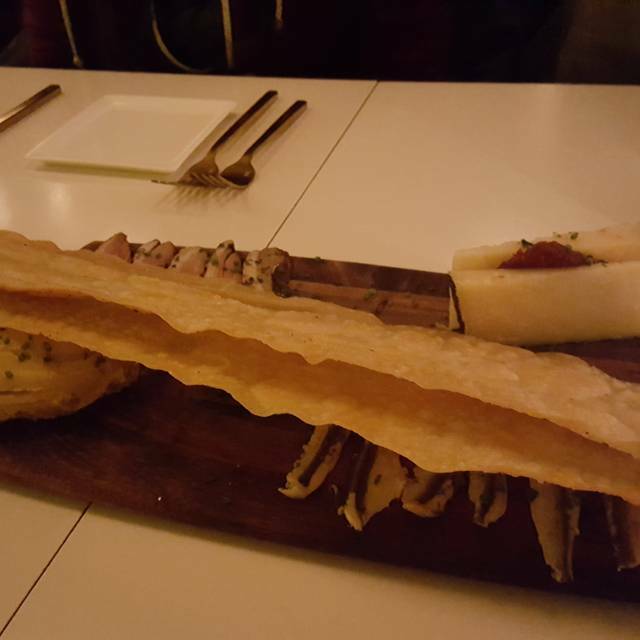 We did a board to start (the manchego, duck pastrami, and kalamata/ricotta were excellent with the homemade lavash)! We then shared the fried green tomatoes, salmon tartare, and lamb falafel - each was incredible as far as taste and presentation. We finished with cannoli and French press coffee. Truly a top meal and dining experience! Vacation, great service one of the chefs really spent a lot of time going over the menu and helping us select a good one. The cassolete was superb as was the sharing board . Inventive amazing menu, great wait staff and attentive owner/chef!